A man with a history of abusing and stalking women should not be told that his baby son has been placed for adoption, a High Court judge has decided. Mr Justice Cobb heard the man had multiple convictions for assaulting and harassing former partners, and the baby's mother feared that she would be in danger if he became aware of legal proceedings relating to his son. The judge decided that there was a "powerful case" for keeping the man in the dark, and said information about the boy should also be withheld from the man's relatives. Mr Justice Cobb has revealed detail of the case in a written ruling after analysing evidence at a private hearing in the Family Division of the High Court in London. He heard that the woman became pregnant after a short relationship with the man. The pair had separated shortly after the woman became pregnant, and evidence indicated that the man was not aware of the baby's existence. Mr Justice Cobb heard how the woman had complained to police about being harassed and threatened by the man following the breakdown of the relationship. 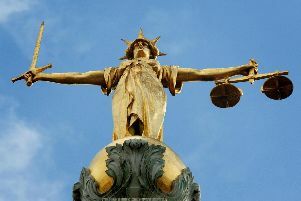 The man had a history of aggressive and violent behaviour, and police in several areas of Britain had received complaints about him stalking and harassing ex-partners, the judge heard. Mr Justice Cobb had been told how the woman thought that she could not properly care for her son and wanted him to be adopted. She also said she was "adamant" that the man and his family should know nothing. He approved the adoption plan, and agreed that the man and his family should be kept in the dark. The judge said the woman, and the boy, would be at risk if the man learned what was happening. He said no-one involved could be identified.